The Miami Heat are just days away from beginning training camp for the 2018-19 season, and according to recent reports, their roster could see a lot of changes between now and then. If the Heat were able to hold onto Adebayo and Richardson, it would be quite the feat. Still, parting ways with players such as Whiteside, Johnson, Waiters, and Winslow would be quite the dramatic shakeup to Miami’s roster. If the Heat managed to put Whiteside in a deal involving Butler, it could be seen as something of a win-win. At the end of the 2017-18 season, Whiteside was at the center of several off-court distractions that seemed to point to the end of his time in Miami. 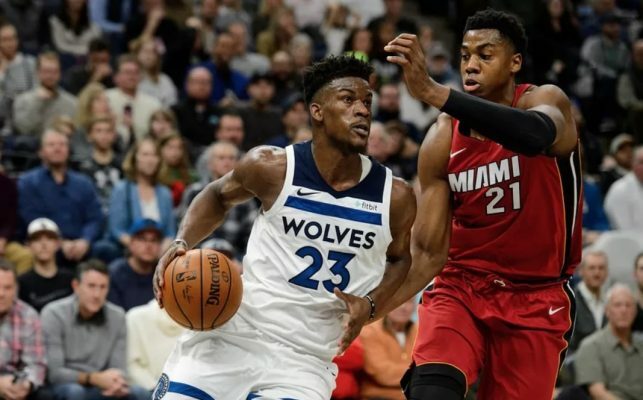 He averaged 14.0 points and 11.4 rebounds per game last season, and was seemingly able to bury the hatchet with Heat head coach Erik Spoelstra earlier this summer. Still, it is likely that both parties would relish an opportunity for a new start. It could also be seen as a positive if the Heat were able to part ways with players such as Johnson and Waiters, who have both failed to live up to recent contract extensions, in a deal for Butler. Based off of the most recent reports, it seems as though the Timberwolves are looking to make a deal as soon as possible. It will be interesting to see if the Heat are the team able to make it happen.